And what could these be? Anything "thinkable" from Cath Kidston handbags, Ugg boots, make-up from fashionable brands such as Mac and Bobbi Brown and Jo Malone scented candles, Rolex watches and iPad 2 and iPhone 4. 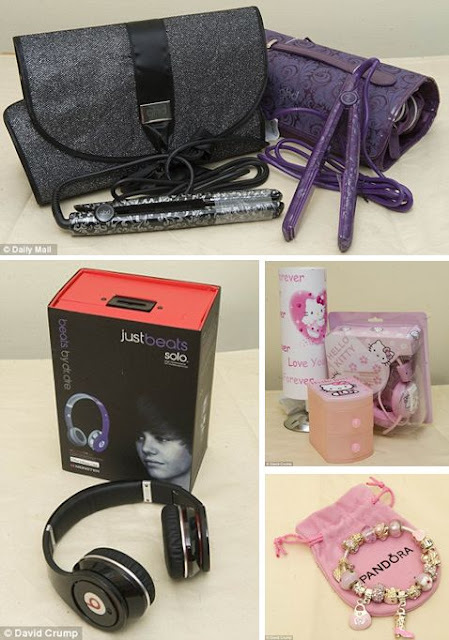 The fakers have even taken childrn love away by sending in fakes of Hello Kitty jewellery boxes, the latest Nintendo DS, soft toys from TV show In The Night Garden, Smurfs and familiar faces from Thomas the Tank Engine, to name but a few.